India's ability to strike inside enemy territory will increase manifold as EMISAT gathers crucial information on enemy radars. The launch of the EMISAT satellite gives India significant advantage over regional rivals China and Pakistan, a leading Russian expert has said. The electronic intelligence satellite, which was Developed by the Defence Research Development Organisation (DRDO), was placed in the orbit by ISRO's PSLV-C45 on Monday. "A leading space power – and India is aspiring to be one – simply has to have all types of space reconnaissance in its possession," said Mikhail Khodarenok, military analyst and retired colonel in the Russian missile defence forces, according to Russia Today. Emisat, which is modelled after Israeli spy satellite SARAL, gathers information on enemy radar positions from a sun-synchronous orbit at an altitude of about 750km. 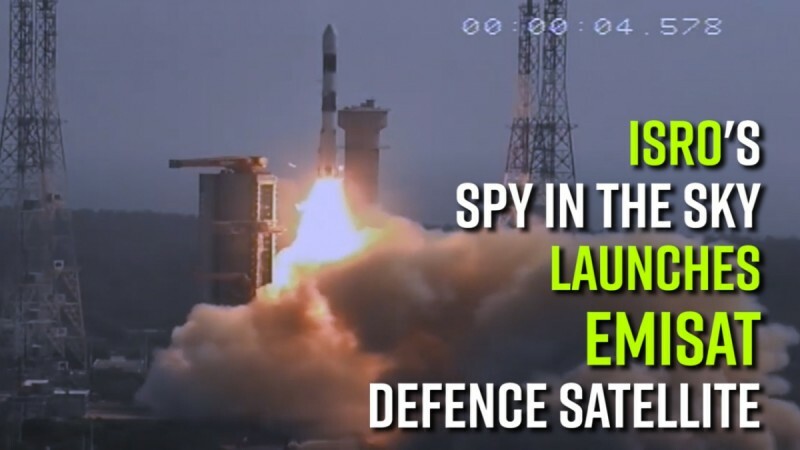 The DRDO has been working on EMISAT for the last eight years under its 'Project Kautilya' which aims to boost India's space surveillance capacity. Experts have pointed out that India's ability to strike inside enemy territory will increase manifold as EMISAT gathers crucial information on enemy radars. Radar imaging reconnaissance satellites like EMISAT "intercept radio signals and identify which radio-electronic systems are used in the designated area, the Russian expert said. "They're designed to unveil potential enemies' radars, anti-aircraft missile shield capabilities and air traffic controls," added Khodarenok, saying that EMISAT is a counterpart of the American Lacrosse/Onyx spy satellite. "The launch of this satellite gives New Delhi a significant advantage over its neighbors in China and Pakistan," Khodarenok said. EMISAT is a satellite built around ISRO's Mini Satellite-2 bus weighing about 436 kg. The satellite was successfully placed in its intended sun-synchronous polar orbit of 748 km height by PSLV-C45 on April 1. Earlier last week, India announced its entry into the elite club of space superpowers with the successful testing of its first test of an anti-satellite missile. The only three other nations to have done this before are the United States, Russia and China. With the success of Mission first Shakti, India effectively put China on notice. China, which launched its first low-earth orbit satellite in December 2018, as part of the Hongyun project, is understood to be adding up ASAT weapons as a deterrence despite US resistance.